What is the relationship between street art and the law? 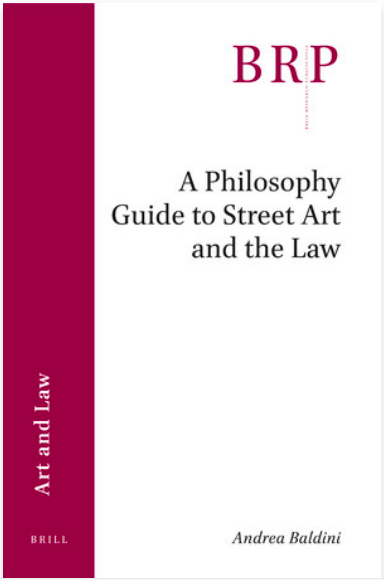 In A Philosophy Guide to Street Art and the Law, Andrea Baldini argues that street art has a constitutive relationship with the law. A crucial aspect of the identity of this urban art kind depends on its capacity to turn upside down dominant uses of public spaces. Street artists subvert those laws and social norms that regulate the city. Baldini shows that street art has not only transformed public spaces and their functions into artistic material, but has also turned its rebellious attitude toward the law into a creative resource. He aims at elucidating and arguing for this claim, while drawing important implications at the level of street art’s metaphysics, value, and relationship with rights of intellectual property, in particular copyright and moral rights. At the other end of the spectrum of contractual art, street art is outlaw art.